A little over a year ago (or was it longer?) My best friend from high school, Allyson, was home visiting from Georgia. 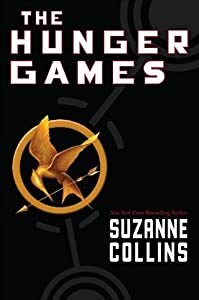 One of the days I went and saw her, she insisted I start reading a series called the Hunger Games (which are now really huge, and they’re making a movie out of it!) Naturally (because Allyson has good taste in books, and everything she’s introduced me to I’ve fallen in love with) I found myself glued to the pages of the book, not able to put it down at all! A few weeks ago while online looking for new recipes to cook for dinner I stumbled across a youtube page somewhat (not really) dedicated to the Hunger Games, and the foods they mention in the books! I’ve tried MOST (not all) of the recipes the youtube channel has (Search, Hungry for the Hunger Games on youtube.) This post is about the Springtime Soup. I used two or three times the amount of ingredients simply because I was making it for 7 people. I linked the video above, but if you don’t have sound/don’t wanna watch the recipe is really simple. You toss in your olive oil, celery, onions and garlic into your pot, let them get softish, toss in your spinach, wait till it wilts, toss in your watercress – let it wilt, then toss in your parsley, again waiting for it to wilt. Once it’s all wilted, toss in your vegetable stock, boil. Once your soup is hot, you’ll want to mix it together. I used a food processor, but it took a lot longer than the video. She uses a handheld blender, and I’m sure that’d be a LOT easier. Once you’ve mixed it all up in your blender, you can either eat it as is, OR take it to the next level (I did this for half of my soup) and strain out the chunks. I made this soup on January 25th, and just randomly out of the blue my boyfriend just texted me saying it was too bitter, but don’t let his random weird text scare you away, he waited a few days before trying it, I’m sure it had gone bad. I personally, LOVED it, as did my boss! I’ve attached photos of the process.